Mohawk is proud to offer the solid hardwood assortment available in the Arlington Collection. This traditional style flooring has low gloss and a smooth finish containing both ArmorMax and ScotchGard protective coatings for added durability. Each product in the Arlington Collection has a distinct graining pattern that captures the true color tones found within the natural species. Available in 5 in. width, this product will provide a beautiful backdrop for any setting. Made with the highest standards in manufacturing, achieving unmatched quality and precision detailing in every plank. This Mohawk flooring meets all environmental standards and is CARB II and Lacey Act compliant. 19 sq. ft. per case and case weight: 55.93 lbs. 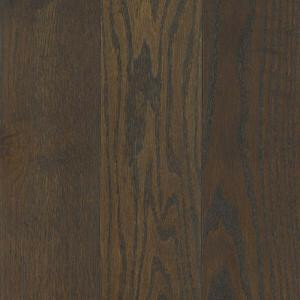 Buy online Mohawk Arlington Wrought Iron Oak 3/4 in. Thick x 5 in. Wide x Random Length Solid Hardwood Flooring (19 sq. ft. / case) HSC97-48, leave review and share Your friends.